Courchevel - where you can ski for miles! The runs are well groomed, the lift system is efficient and the views are bracingly beautiful. Courchevel's four villages offer something for everyone - and also a lot of choice about where to stay. If you have your ski trip to Courchevel all planned and just need accommodation recommendations go direct to our Guru's list of the best places to stay in Courchevel. Le Praz, also known as Courchevel 1300, is a traditional French alpine village with wooden chalets and a good selection of bars and restaurants - including 'Le Bistrot du Praz, one of the most famous restaurants in the Three Valleys. 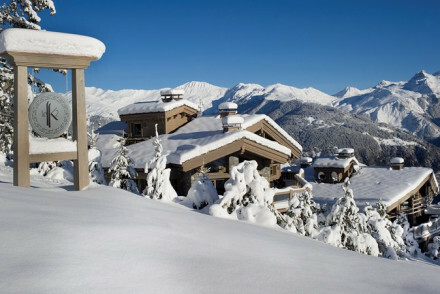 Only a ten minute lift to the centre of Courchevel 1850, there is easy access to the rest of the Three Valleys region. 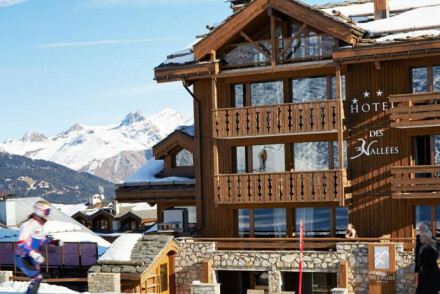 Courchevel 1550 (Courchevel Village) is directly below 1850, and is a less prestigious option, offering mostly self catering and privately-owned chalets. 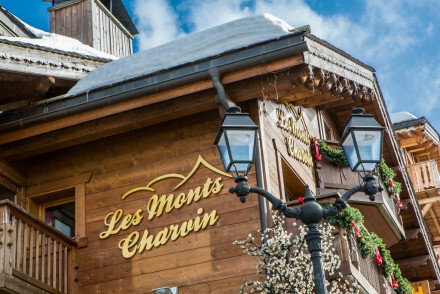 So it's one of the best places to stay in Courcheval if you're on a budget and all about the skiing rather than the après-ski. 1650 (Courchevel Moriond) is a resort in its own right, and becoming more so as 1850 gets more exclusive. Now one of the best places to stay in Courchevel for families, the restaurants are affordable and the lovely old wood and stone chalets are being spruced up. It also has good skiing above the resort, which is often much quieter than at 1850 and above. Courchevel 1850 has been the St. Tropez of the alps since being built after the 2nd World War. It boasts the greatest number of six-star hotels in France (two), and eleven hotels have a five-star rating. It's also has 11 Michelin stars shared between seven restaurants. 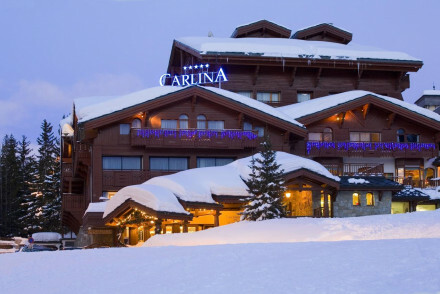 Definitely one of the best places to stay in Courchevel if you want to rub shoulders with A-listers and royalty. Ski or board the endless options of manicured slopes with options for all levels of experience. For the adventurous (and experienced) tackle one of the challenging couloirs. Spend an evening scooting round the ice rink. Embark on scenic hikes during the summer months. Take on the exciting mountain bike trails. With so much going on in the area many of the best places to stay in Courcheval are snapped up early so make your plans and book ASAP. Inside you feel the old-fashioned warmth of exposed wood, but outside Le Chabichou is a chalet-lovers rhapsody-in-white. 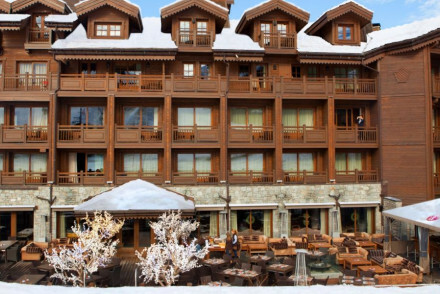 It's also one of the best places to stay in Courchevel for foodies. Their two Michelin star restaurant serves wonderful food and they also have weekly cooking demonstrations. A clever blend of grand chateau and homely chalet, staying in one of Le St Joseph's fourteen rooms, suites, or two apartments feels like you are staying at the home of grand old aristocratic friends. One of the newest and best places to stay in Courchevel for luxury is Le Strato. It is five star and has a gastronomic restaurant and gorgeous pool and spa. It's one of the best places to stay in Courchevel for attention to detail - even the fireplaces are designer. When you finish supper your gloves and boots are returned to you pre-warmed. Hotel Le K2 offers impeccable Five Star Alpine-Himalayan lodge style hotel in 1850. Sumptuous rooms and five exquisite private chalets cluster on the slopes with panoramic mountain views, doorstep skiing and a magnificent spa. The chic and stylish designer hotel, White 1921, is in a picture perfect spot and boasts stunning views from the private balconies. Delivering an alpine-chic aesthetic, Hotel des Trois Vallees epitomises the modern skiing hotel. Le Portetta 1650 sits nearby neighbouring nursery slopes. They also have a family suite with space for up to six, in-house ski and boot rental and a kid-friendly games room. Let's call it traditional rather than understated, the Hotel Les Monts Chavin is a comfy B&B built by the current owner's grandfather in 1955. He was one of Courchevel's first ski-instructors, so expect all the warming necessities plenty of roaring fires, wood panelling and a cosy bar. If you prefer a self catering property for your holiday, then we recommend you visit our online booking partner Booking.com where they have a wide selection for all tastes and budgets. Fly to either Geneva or Lyon airports which are two hours' drive from Courchevel. Chambéry airport is closer but flights are less frequent. Best time to visit - The ski season runs from mid-December to late April and snow cover tends to be best towards the end of the season. Go in early March to avoid the Easter crowds. Browse though our list of all the best places to stay in Courchevel. Widen your search to include all our properties in The Three Valleys. A rare find: a boutique bed and breakfast in the heart of 1850. Authentic and cosy with roaring fireplaces, traditional fabrics, and leather sofas. A delightfully understated spot. This chic and stylish designer hotel is in a picture perfect spot. Rooms are small but super cosy with contemporary smart interiors, offering views of the mountains from the windows or the balconies. Also features a fitness centre and a sauna to relax. Individual ski service for every guest. 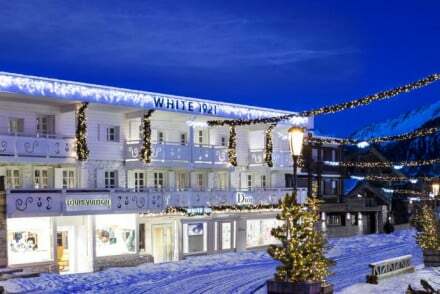 Active Holiday - In a well known ski resort area, after spending a day out at the slopes, return to the comfort of this hotel. Back to Nature - In a spectaular setting, most rooms offer stunning views of the mountains. Great walks - Beautiful hikes into the countryside. Book a guide or go on your own. 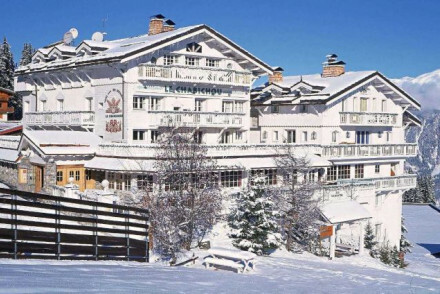 A classic chalet-style hotel just minutes from the slopes. Charming rustic interiors feature Swiss pine fittings and furniture. Smart, simple rooms have a similar alpine aesthetic with great north or south-facing views, some with balconies. Cosy and family-friendly with games room and relaxing spa. An 1850 building with an eclectic and quirky mix of chalet and château. Parquet floors, furs, fireplaces - a cosy home from home with two fantastic restaurants, and minutes from the slopes. Beautiful, traditional white-painted wooden chalet with exceptional MIchelin-starred cuisine and wonderful service. Rustic-chic rooms and family friendly suites. A gourmet ski holiday for romantics, foodies, and families. Foodies - The restaurant has 2 Michelin Stars. Delivering an alpine-chic aesthetic, Hotel des Trois Vallees epitomises the modern skiing hotel. 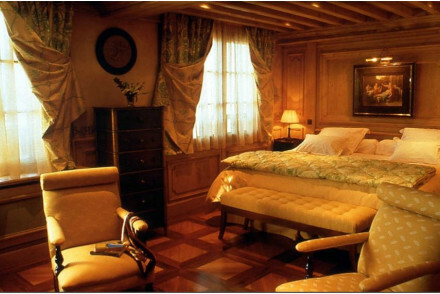 The minimalist rooms combine a sense of luxury and cosiness with pine panelling and fashionable furnishings. The deluxe spa is perfect for recuperating after a long day on the slopes. Great walks - Beautiful walking in the surrounding Tarentaise Valley. Courchevel’s latest cutting-edge five-star hotel right on the piste. Spectacular traditional-chic interiors - furs, parquet floors, paintings, designer fire places, and wonderful private balconies. Gourmet delights in the fantastic restaurant and bare foot luxury at the spa. Impeccable Five Star Alpine-Himalayan lodge style hotel in 1850. 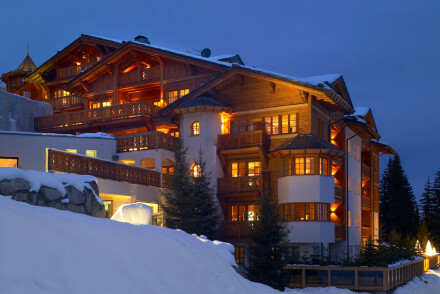 Sumptuous rooms and five exquisite, private chalets cluster on the slopes with panoramic mountain views. Doorstep skiing, magnificent spa, Michelin star chefs in the kitchens, child-friendly, cinema, nightclub, what is there to want?